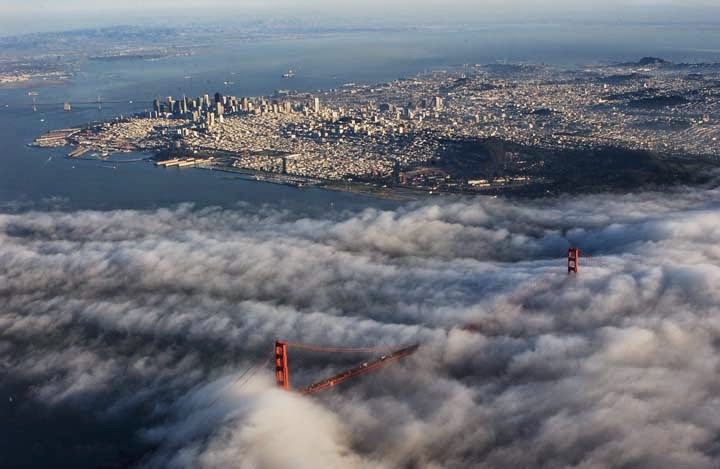 Since our home is less than two miles south of the Golden Gate Bridge, we often feel the chilly fog rolling in off the coast and through our neighborhood (the Inner Richmond), even when other parts of the city might be bathed in sun, especially during the summer. Summer is the time to get out of San Francisco. 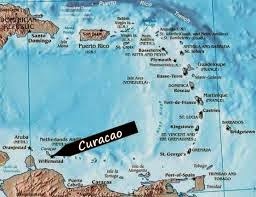 So every year Suzanne, Anemo, and I escape the cold summer weather in San Francisco and spend a few weeks with Suzanne's parents in Curaçao, a Dutch island situated just 35 miles off the northern coast of Venezuela. There is no Ethiopian community here in Curaçao, so while I sit by my inlaws' pool, I can use the strong internet connection from the house to brush up on some Ethiopian history. 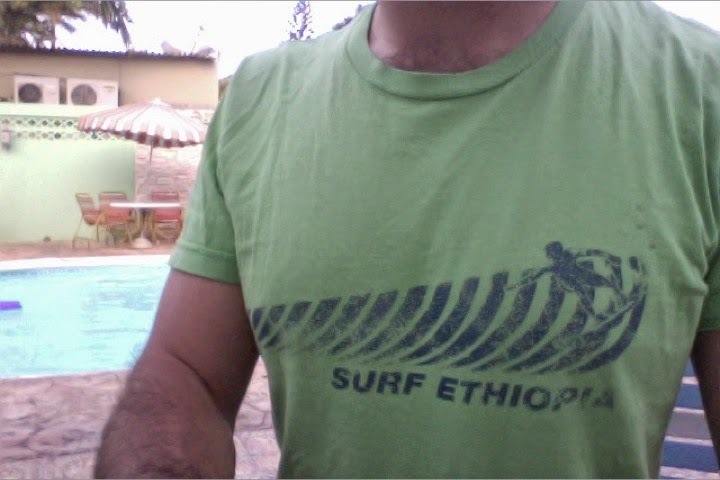 Jan has asked me more than once why Ethiopia does not have a coastline. I have a "foggy" sense of Ethiopia's history with Eritrea, but I have not yet been able to answer Jan with confidence. I just haven't taken the time to learn the history. Growing up in Rhode Island (the "Ocean State"), living for the past ten years on a peninsula (43 blocks from the Pacific Ocean), and currently vacationing on a Caribbean island, I have a hard time imagining life in a landlocked country, especially when the country historically has not always been landlocked. So what happened to Ethiopia's coastline? 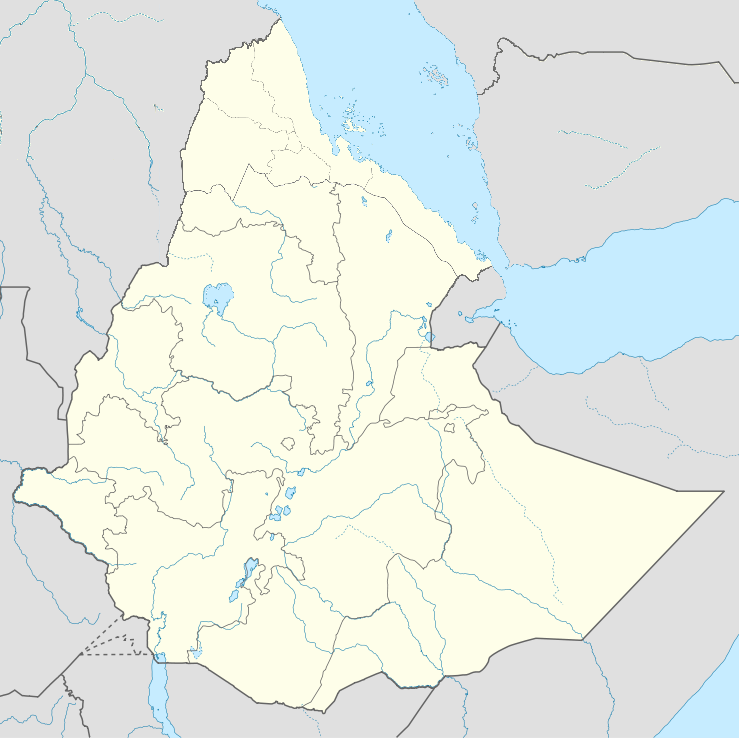 Ethiopia is currently surrounded by Eritrea, Djibouti, Somalia, Kenya, Sudan, and (landlocked) South Sudan. Ethiopia's relationship to the sea closely intertwined with its relationship to Eritrea. I could easily get lost in the details of the history between these two countries and never finish this blog post, so it's probably best to use broad strokes now and fill in details later as needed. 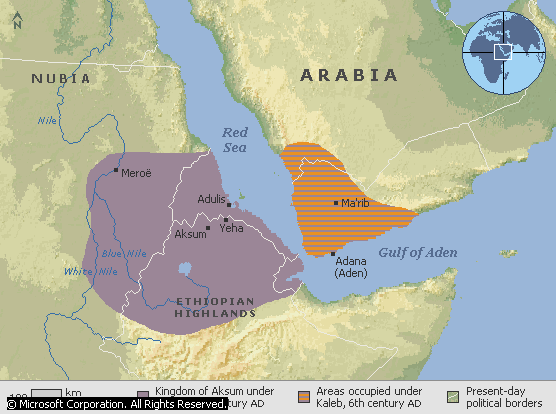 Both Ethiopia and Eritrea share a history in the Kingdom of Axum, which ended some time in the 10th century CE. The kingdom even expanded across the Red Sea to claim the southwestern corner of the Arabian Peninsula. Plenty of coastline during that time, when the spice trade with India flourished. Fast-forward to 1890 when the Kingdom of Italy, wanting to become a player in the race for Africa, established its colony of Eritrea. The Italians used the Latin name for the Red Sea (Mare Erythreum, derived from Greek) to name the colony, seeming to highlight the significance of sea access. 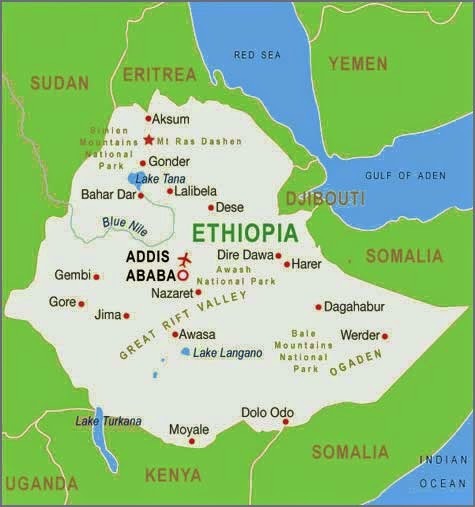 Ethiopia, known then as Abyssinia (from the term Habesha) suddenly became landlocked when the borders of Eritrea were formally established. Soon thereafter, not wanting to be dependent on Italy for sea access, Emperor Menelik II negotiated with France to use the port of Djibouti in French Somaliland. 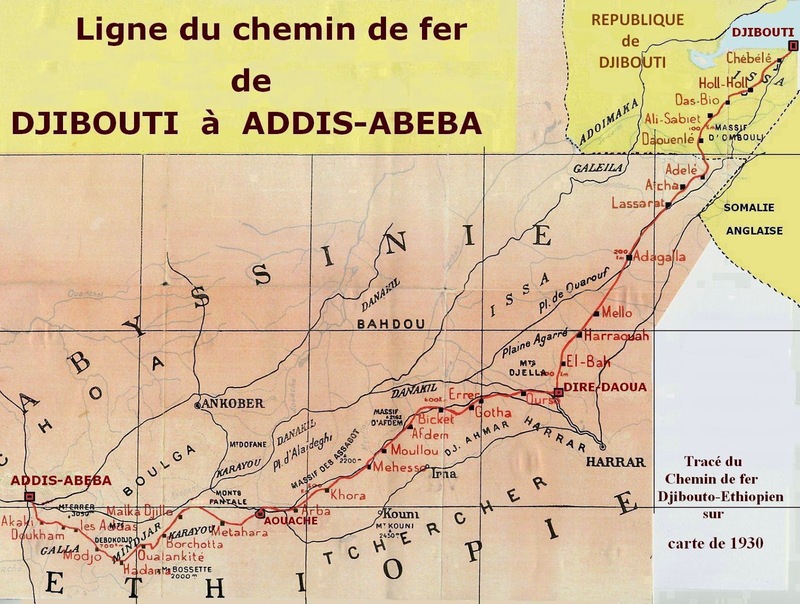 The Franco-Ethiopian railway from Addis-Ababa to Djibouti. 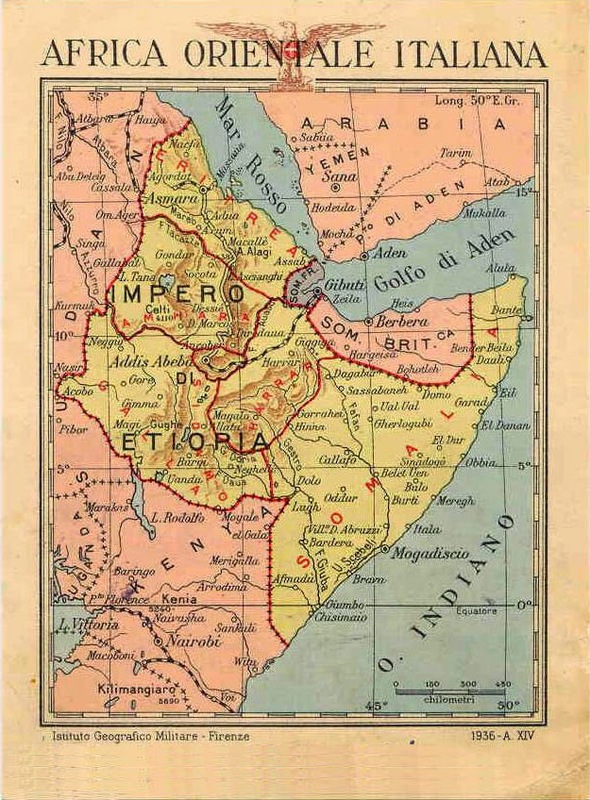 In 1936, Fascist Italy annexed Ethiopia to its colonies of Eritrea and Italian Somaliland after the Second Italo-Abyssinian War, and so, in a twisted way, Ethiopia was reunited with its coastline. A lot of port options for the Italians. After the defeat of Italian East Africa in 1941, the British took control of Eritrea and remained there until 1952, when a United Nations resolution federated Eritrea with Ethiopia, thus giving Ethiopia free access to the coast once again. Emperor Haile Selassie dissolved the federation with Eritrea in 1962 and annexed the country completely, which intensified a war for Eritrean independence that had already begun a year earlier. Emperor Selassie made Eritrea the 14th province of Ethiopia in 1962. In 1993, after about 30 years of war, Eritrea became a member of the United Nations and Ethiopia gave up its coast for the final time. The Ethiopian Navy, founded in 1955, disbanded in 1996 after Eritrea, Yemen, and Djibouti all refused to allow a foreign navy in its ports. 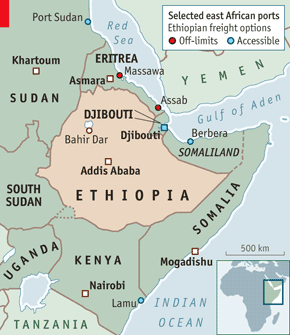 Currently, Ethiopia is rehabilitating its railway to Djibouti with help from India and China. According to The Economist, Ethiopia also plans to "do more business via the port of Berbera in Somaliland, a mostly unrecognised breakaway from Somalia, and with Port Sudan in Sudan." Which brings me back poolside. This is already day six of our vacation in Curaçao and I still have not seen the sea since flying in on July 4. It's funny what happens when you stay with family that understandably takes Caribbean living for granted. Plus, the pool is right here, so who minds being landlocked on a Caribbean island, a full 15-minute drive from open water? I might as well be in Ethiopia. A shirt made famous by the character Billy during an episode of Six Feet Under, upon which my brother Dave based his design of the shirt below. Writing by the pool in Curaçao. 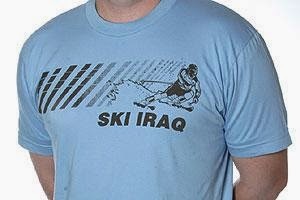 When Dave gave me this shirt a few years ago, he explained it was both an homage and a political statement. I understand the political history just a little bit better now. Foggy weather creates really difficulty. I use, instrument to measure wind speed for life so that I can take advance steps to defend it.